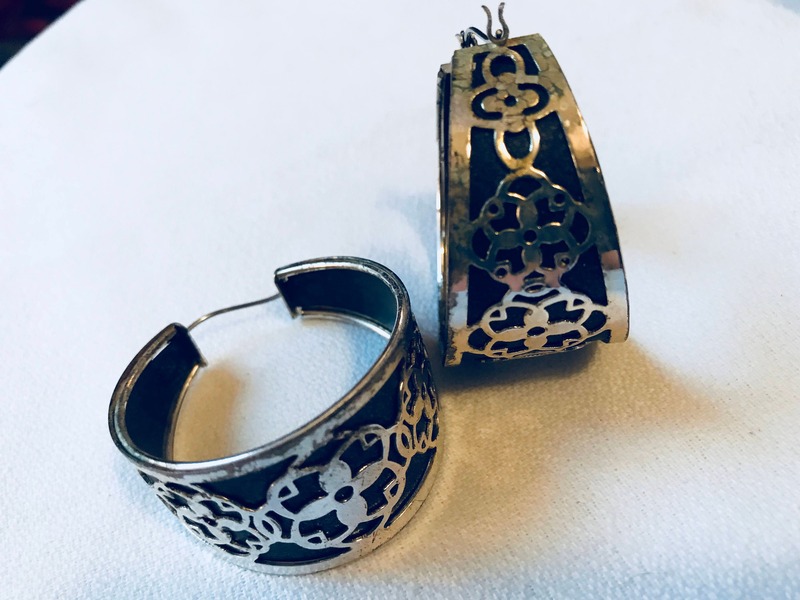 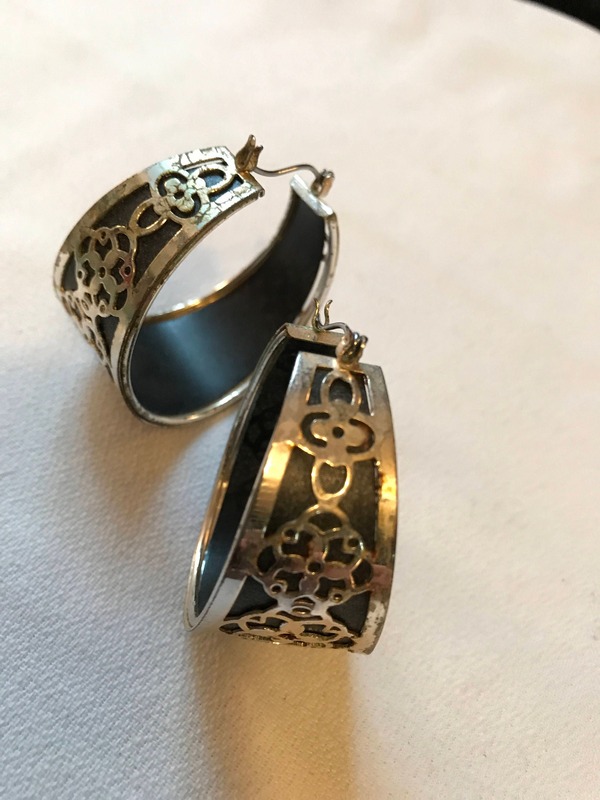 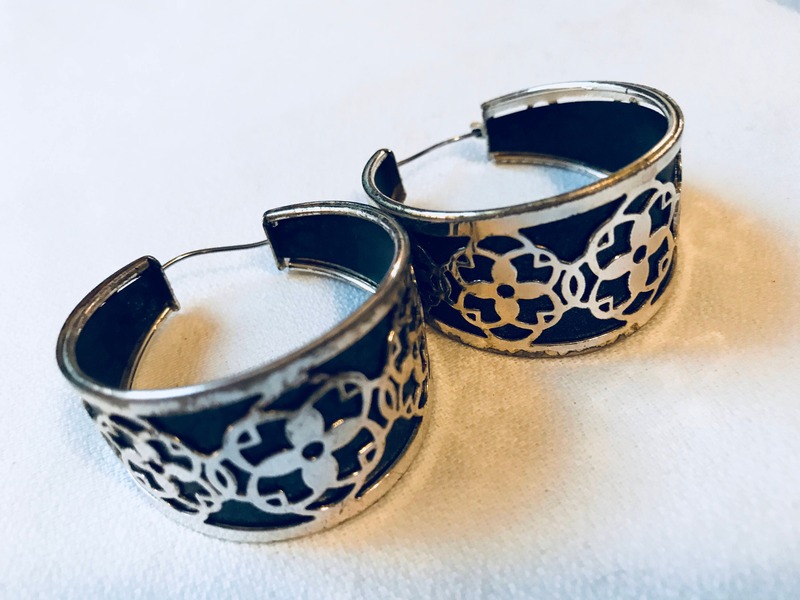 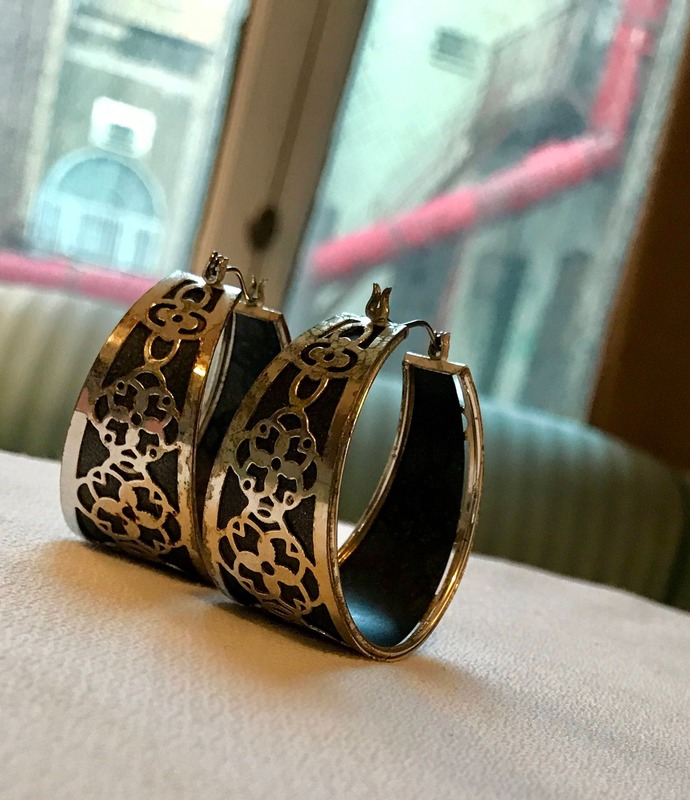 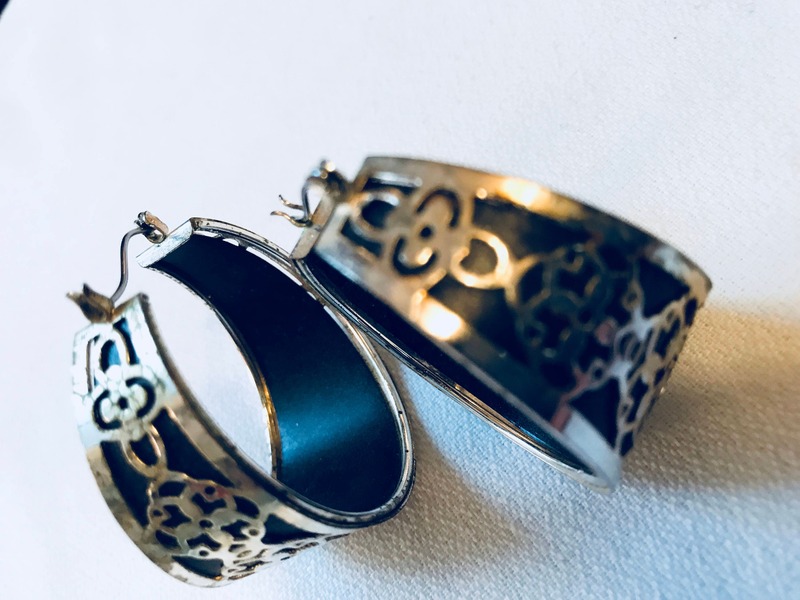 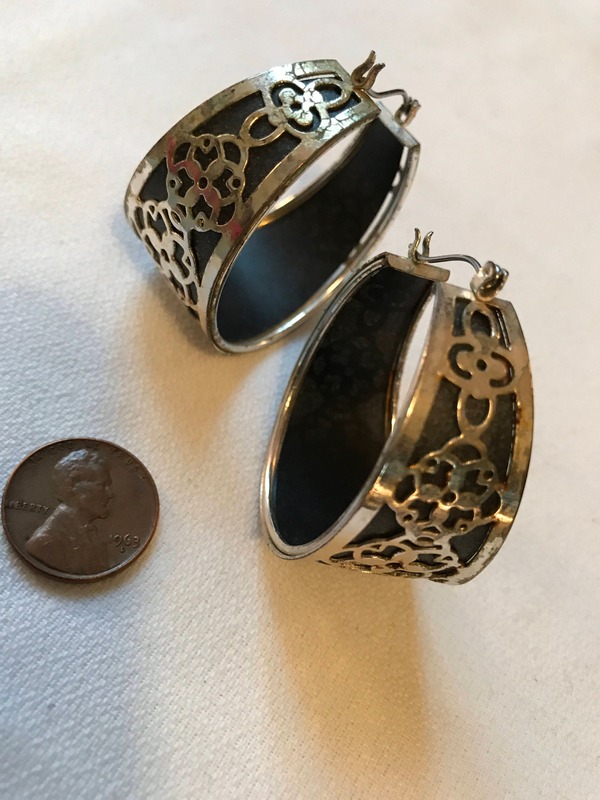 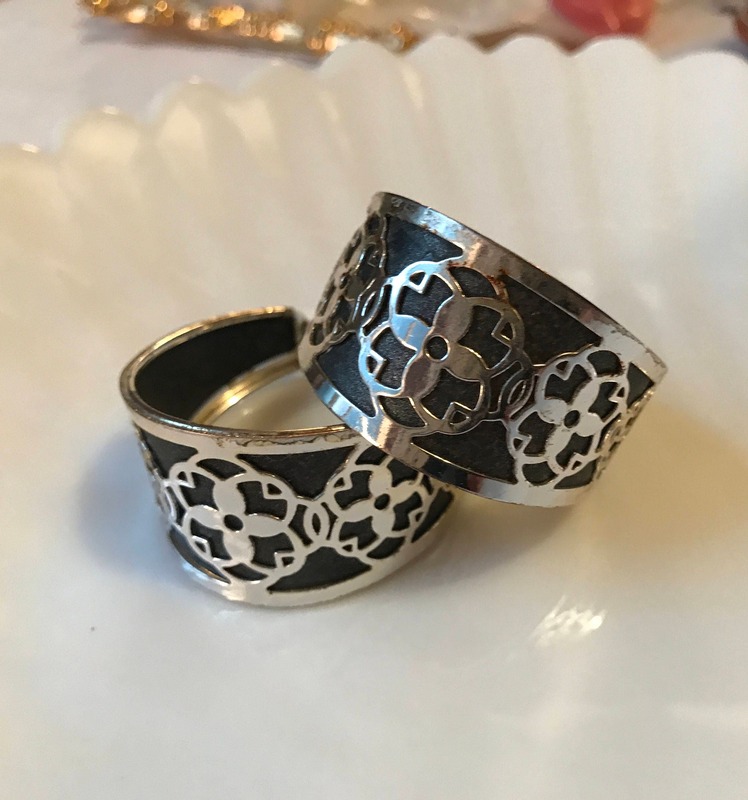 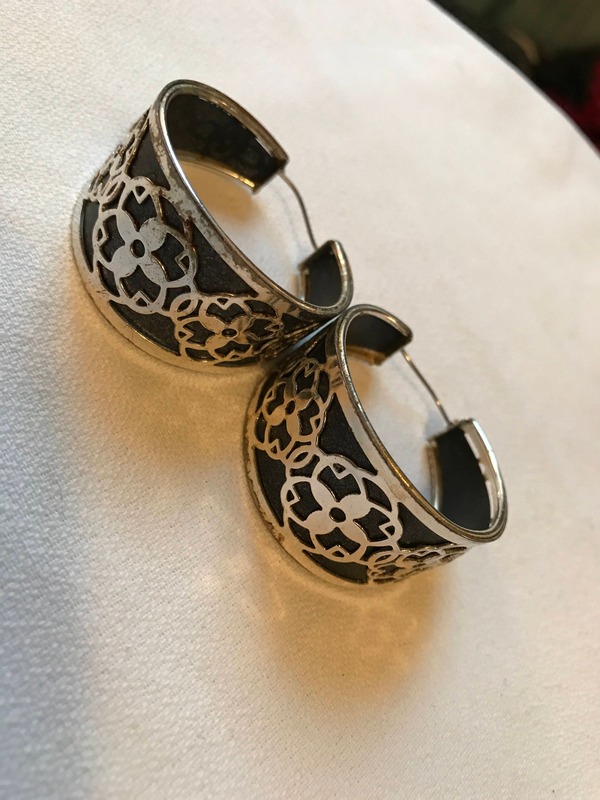 Light weight silver plated metal with floral scrollwork over black backdrop they are bigger than they appear in the photos - They are approximately 1.5 inches wide and hang about 1.75” and their width at their widest point is just under 1”. 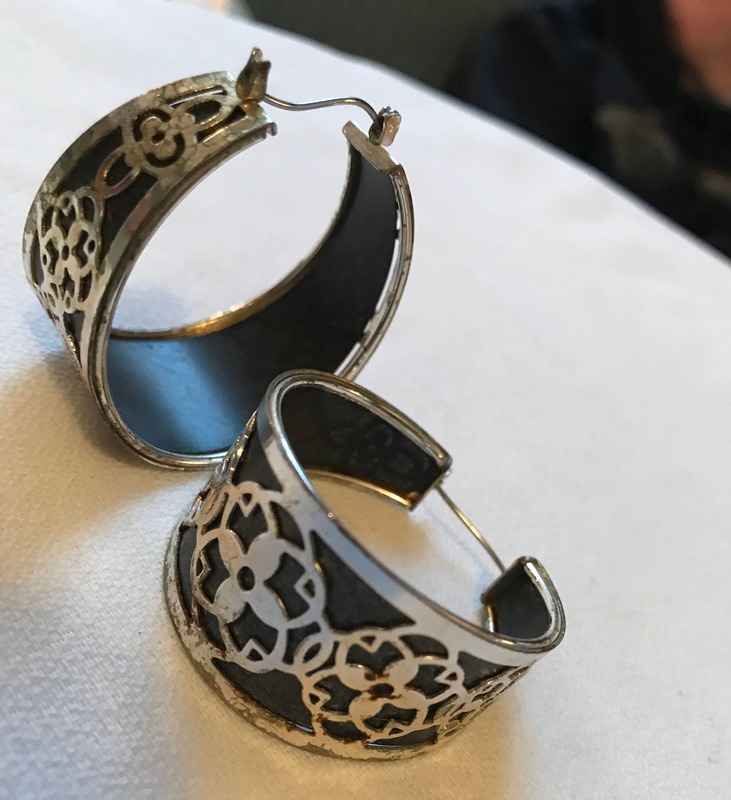 They tarnish and seem to be nice silver plate - not sure of the other materials. 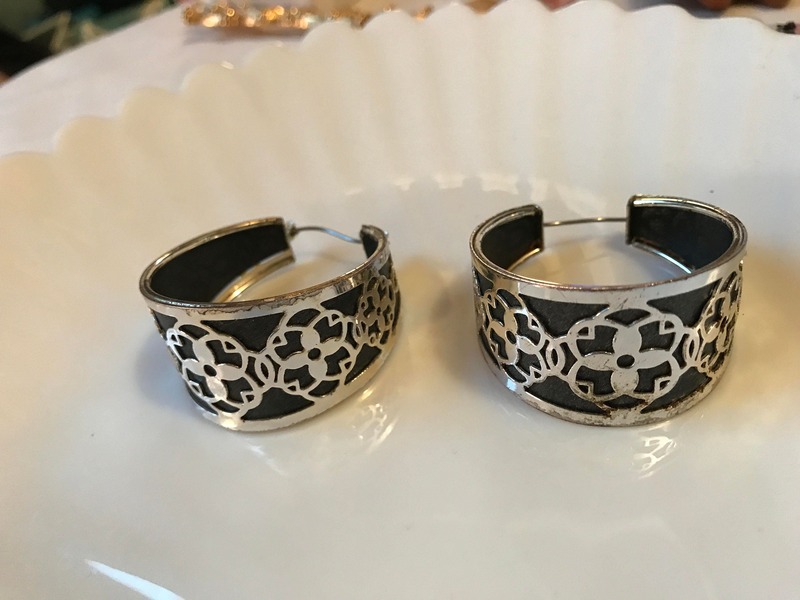 Really neat 60’s or 70’s hipster fashionista hoops.